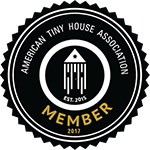 Our little corner of the world – beautiful St. Petersburg, Florida – was the destination for this week’s Tiny House Hunters episode: Aspiring Architect Goes Tiny. Looking to move out of her parents’ home, architecture student Stephanie is building a tiny house that she’ll live in as part of her senior thesis in St. Petersburg, Florida. Her dad Joe has volunteered to help with the build and they tour tiny model homes with plans for sale that can be modified to fit Stephanie’s needs. With a budget of $20,000, she wants her house to have a rustic feel and a skylight over a lofted bedroom, but her dad is worried that the houses she’s drawn to are too complicated for them to build on their own. If you didn’t set the DVR, you can find the episode for purchase on YouTube, iTunes and Simkl.